Lisa Pozorski, who has organized the project since its inception in collaboration with the Harriet Bishop Service Club, said it’s touching to be part of the event. “Harriet Bishop is example to all of how a school community can, and is making this world a better place,” she said. 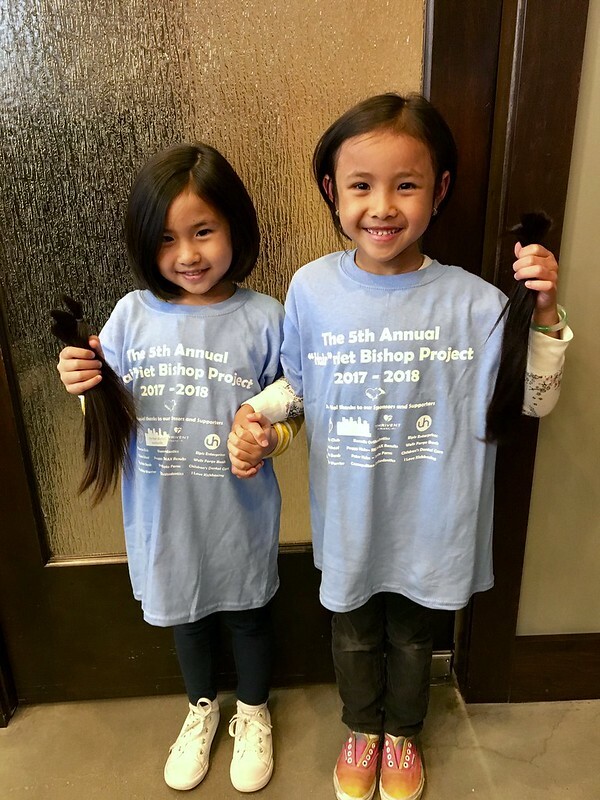 The project is made possible with support from several local businesses, including The Hair District and its stylists, who provide the salon space and skills for the actual event. Other supporters include Thrivent Financial, Chipotle, Sterling State Bank, Elpis Enterprises, Urban Halo, Kemnitz Orthodontics, Wells Fargo, Foss Swim School, Cosmopolitan Orthodontics, Peggy Hicks-RE/MAX Results, I Love Kickboxing, Peter Hohn - State Farm, Children’s Dental Care, and Conquer Ninja Warrior.